Whether you were the Beer Chug Champ during college days or simply a beer worshipper, the India's Biggest Corporate Beer chugging battle is now out in Northern Capital Region (NCR). 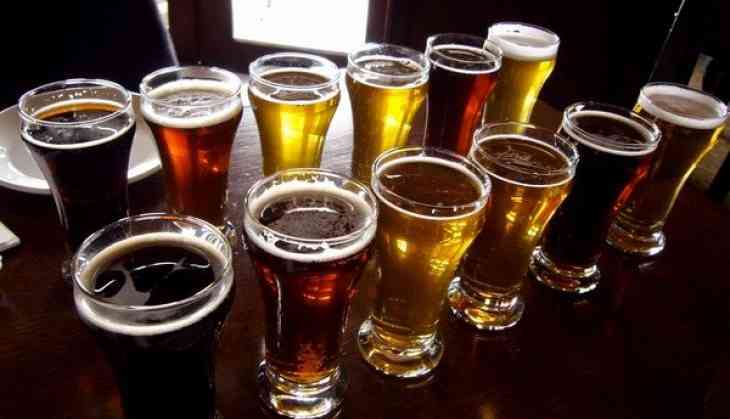 Gather your team and put your Beer to test at Ministry of Beer Gurgaon on Thursday (August 31). Here are some interesting facts everyone should know about before playing this sport. Beer drinkers survive longer because reasonable drinking is good for health compared to those who drink too excessively. Beer contains alcohol and hops and both of them are organic and contain natural components without added preservatives as orange juice and milk. Beer is low in calories, carbohydrates and no fat and cholesterol. It helps you chill with your buddies over a couple of beers. Beers especially not processed or low processed beer turns out to be quite healthy despite the years of repression of those facts by various social groups. The beer has very good amount of B vitamins. If you're someplace where you are suggested not to drink the water, the local beer even if is bad but it's always a safer to consume. Beer prevents heart attacks problems it works as a preventive step according to the British Medical Journal in 1999 said that the moderate consumption of three drinks a day could reduce the risk of coronary heart disease by 24.7 per cent and the most important thing is Beer fights with cancer due to its xanthohumol stuff. When was the last time you and your colleagues had a crazy night chugging endless beers? If a happy memory just popped into your head, it's time to make a crazier one this! We've got some exhilarating beer activities planned just for you. As the name suggests, you've got to throw a dart to hit a square on the dart board and then chug the number of beers that the square indicates. Look out for your sharp-sighted buddies who can down beers in seconds and you're all set! This one's trickier than the first! 2 members of your team will be given a Table Tennis racquet to bounce and balance a ball on it while you chug a certain number of beers. If you get distracted and the ball bounces off, get it back on the racquet to begin drinking again! Let's see who's balancing skills are as good as their chugging skills. Are you a pro at beer pong? If your aim is damn good, you've got a good chance at this one! This time around, you don't have to score for the other team to drink. You need to throw a Ping Pong ball into a beer glass at the other end of the table and then go chug it! It's time to chug for your team with Dineout.